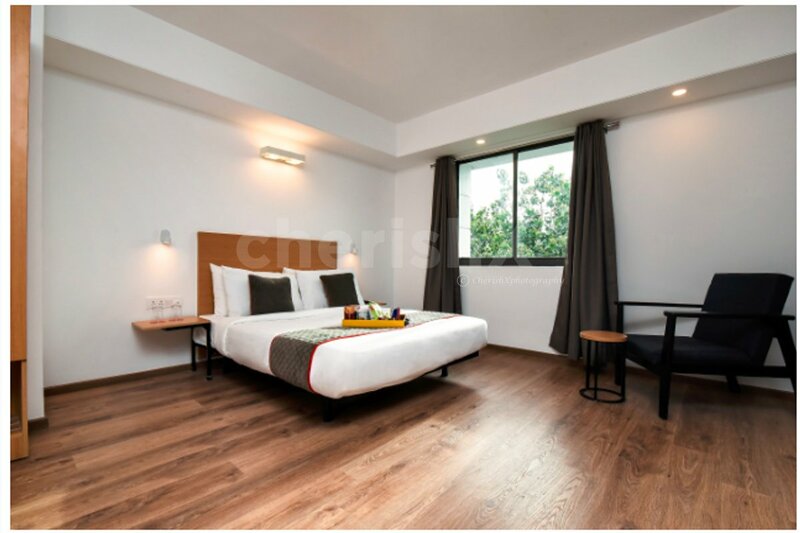 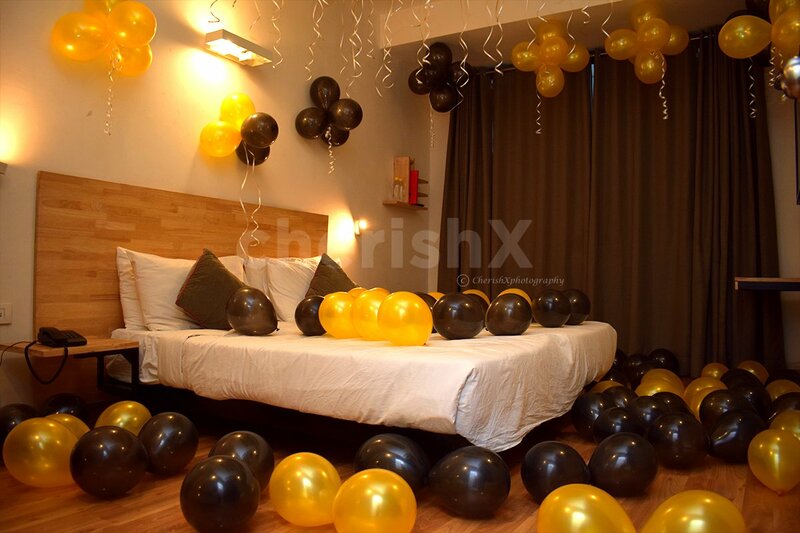 A stay-cation in Jaipur with Oyo Rooms, adorned exclusively with beautiful decor by CherishX. 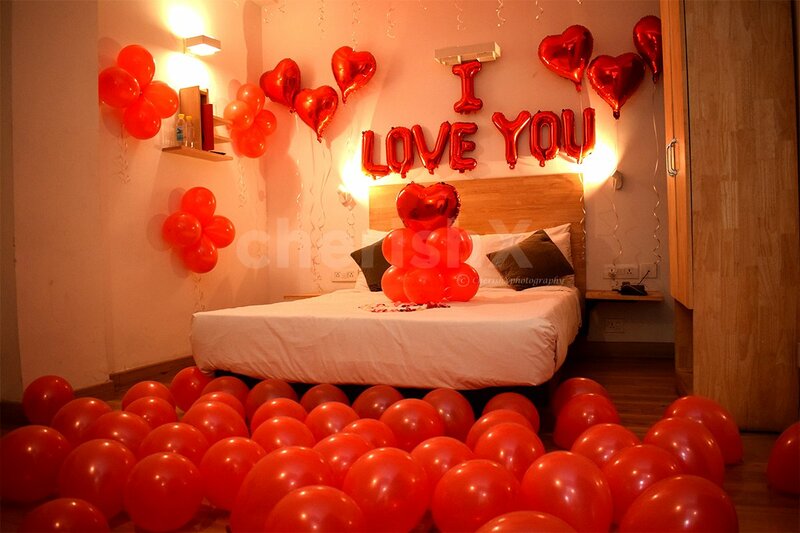 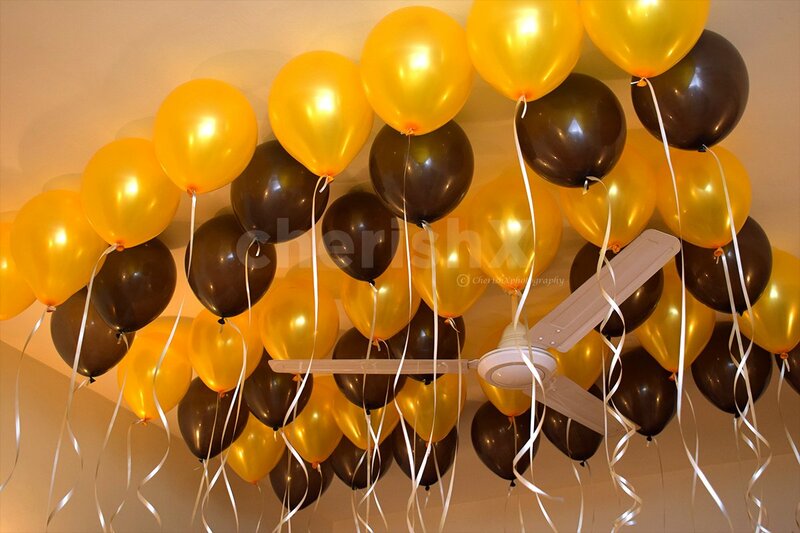 Love Decor: Love is in the air, and also in balloons! 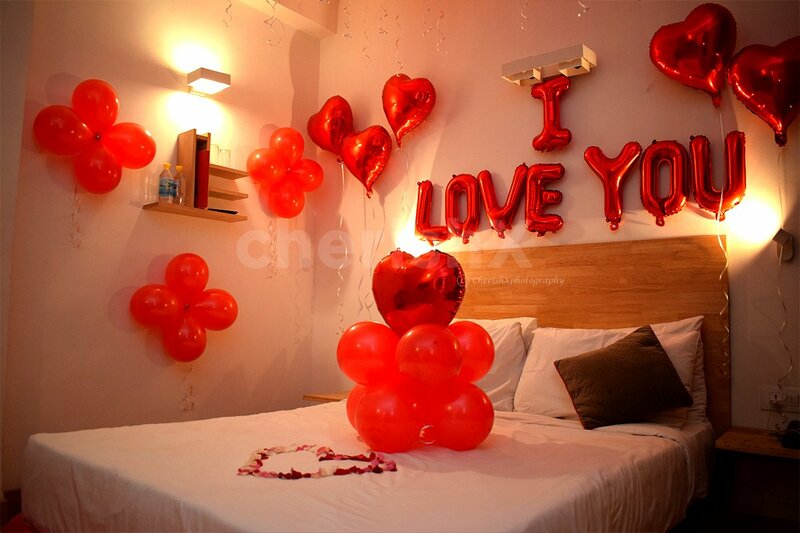 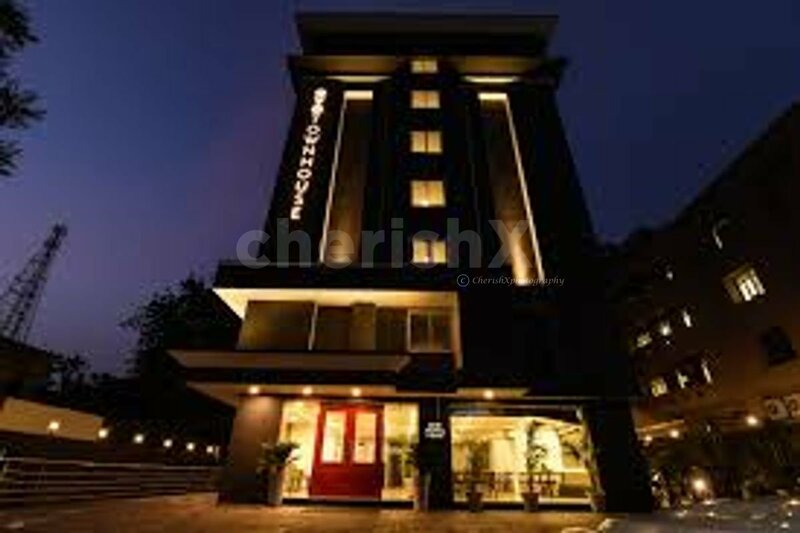 We bring to you a premium red-themed decor package that spells love in every way. 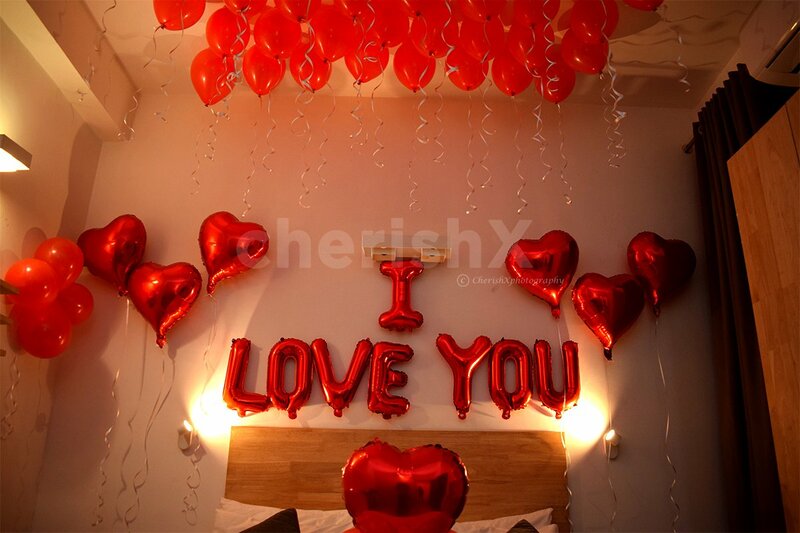 This amazing decoration is done using 150 red latex balloons, red-coloured 'I love you' lettered foil balloons, 6 red heart foil balloons, 1 LOVE centrepiece with a red foil balloon on it, pretty strings of ribbons, and 4 hanging clips. 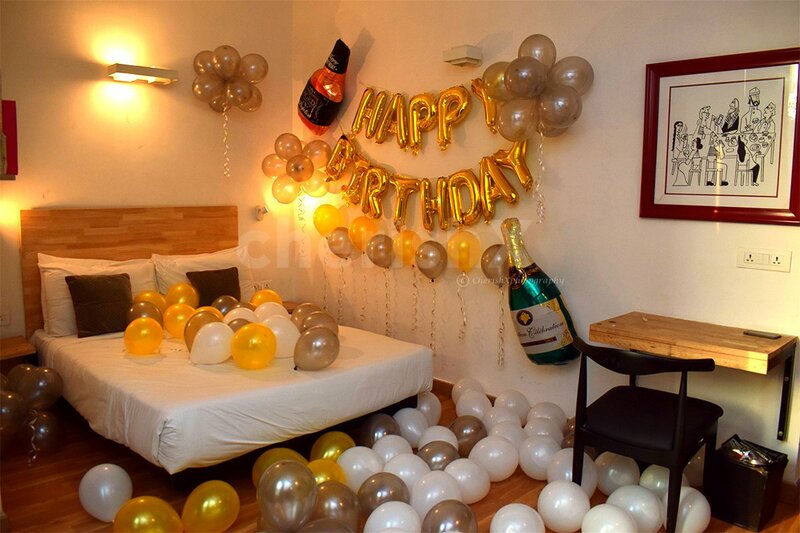 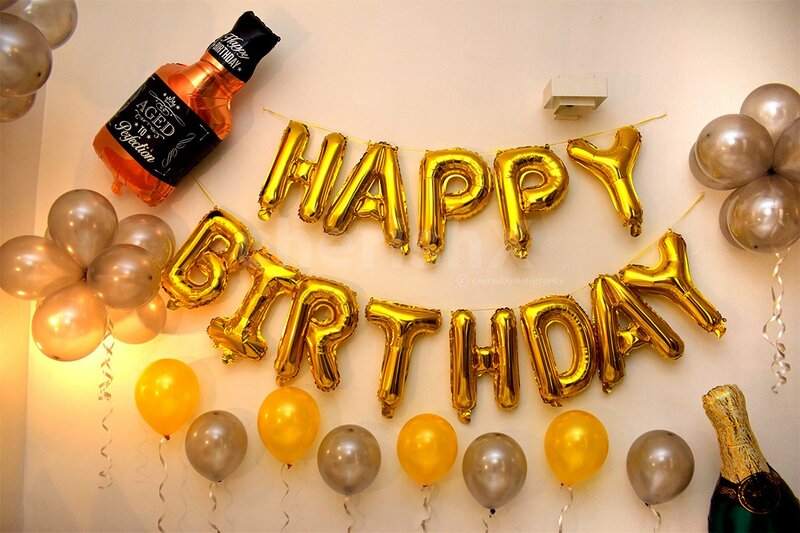 This decoration will be done at an OYO room of your choice. 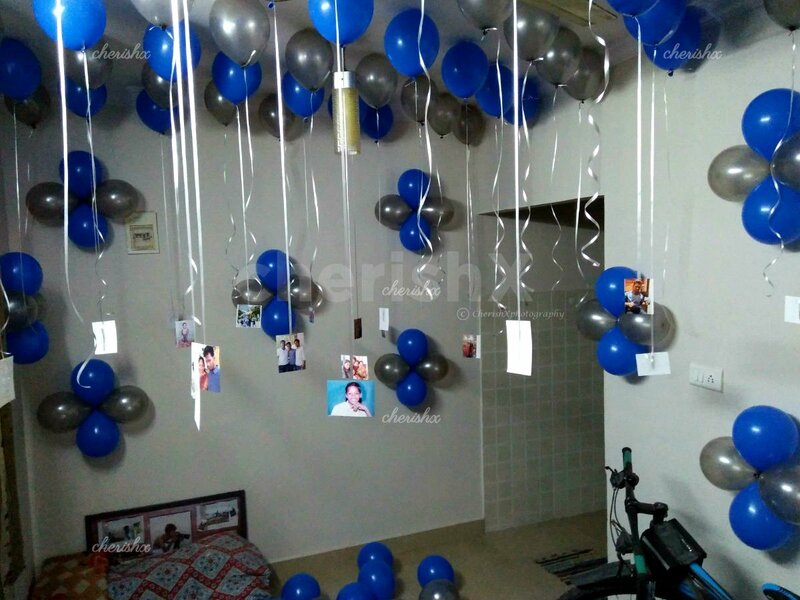 Make your partner fall in love with you all over again with this romantic and beautiful surprise!